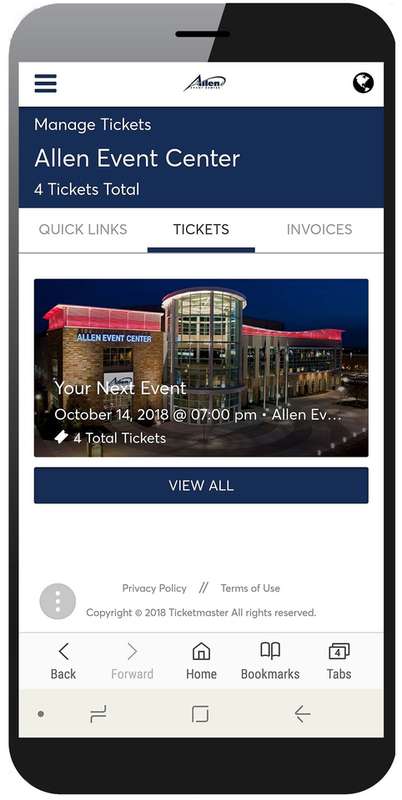 The Dallas Sidekicks offers its fans a digital ticketing management tool in Ticketmaster’s Account Manager. 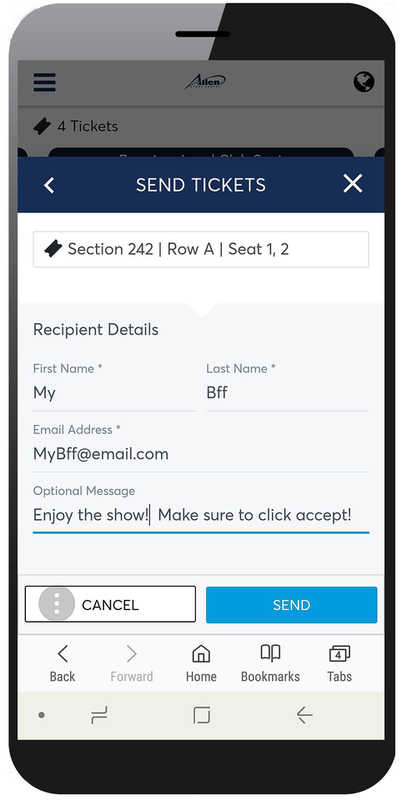 Account manager provides fans the ability to enter the venue using their mobile device or send tickets to friends. Account Manager is for fans who purchased tickets directly from the Dallas Sidekicks. 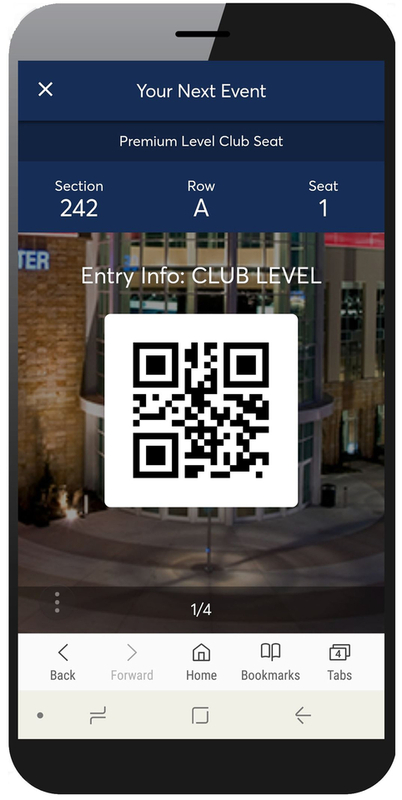 Fans who purchase at www.Ticketmaster.com should utilize the Ticketmaster Mobile App for entry. For additional information on the Ticketmaster Mobile App, visit https://www.ticketmaster.com/h/mobile.html. Navigate to am.ticketmaster.com/sidekicks on your mobile browser. Click “Sign In” on the top menu bar. 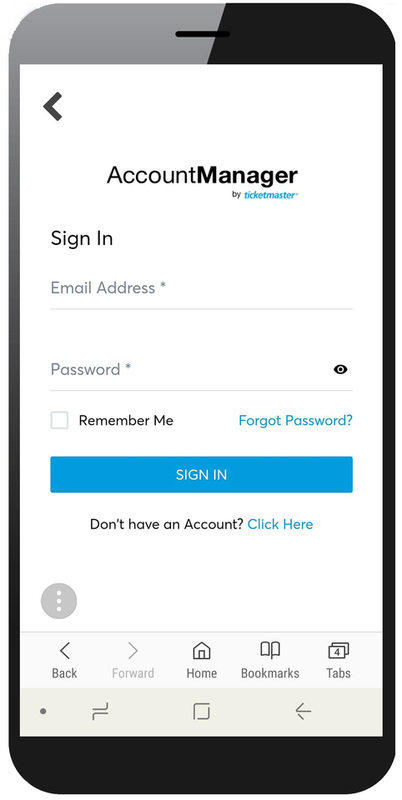 Existing members may sign in using their credentials. Fans who have an existing account at the Box Office but are new to using Account Manager should click the “Forgot Password” link and enter the email provided to the Box Office. Follow the instructions in the reset password email to create your own password. 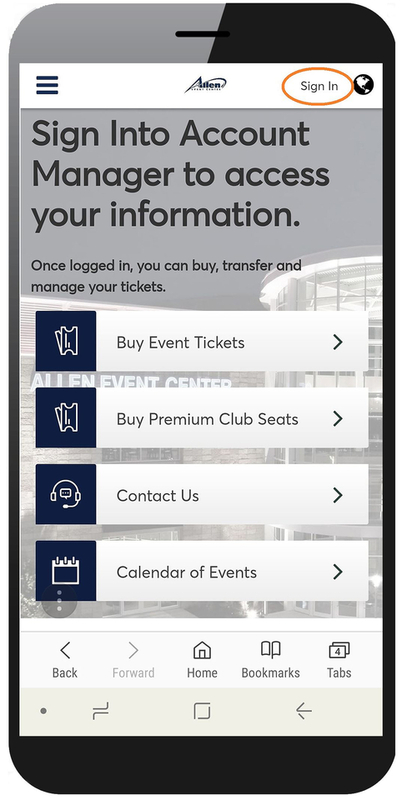 Once logged in, click “Tickets.” Your upcoming events will display in chronological order. Please Note: barcodes will only be visible when viewing on a mobile device. 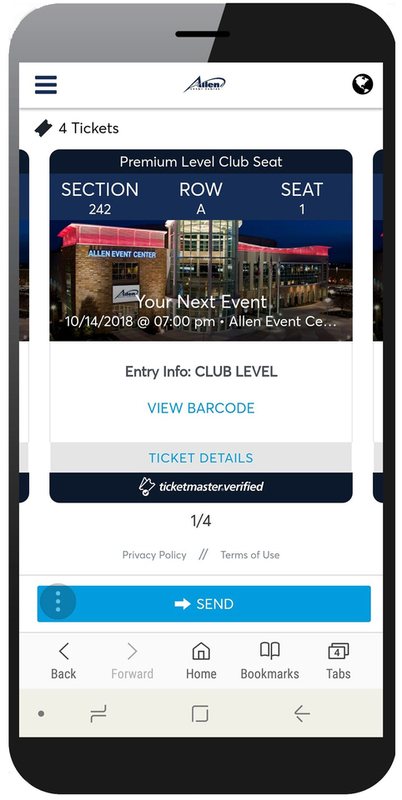 It is recommended you open your tickets on your mobile device prior to arriving at the venue. 2. Tap view barcode. A square QR code will appear. 3. Swipe right/left between multiple tickets. 2. Tap the blue “Send” button under the tickets. 3. Select which tickets you would like to send. 4. Enter a name and email address for the desired recipient. Please note: the recipient will receive an email stating you have sent them tickets. They MUST click accept and log in to complete the transfer. Transfers must be accepted prior to the start of the event.